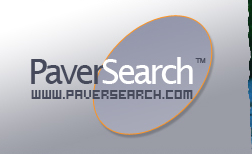 Our PaverSearch.com "Ask An Expert" General Forum is the perfect place for users and member to post your paving and landscaping questions and read other interesting questions posted by other members. Found 146 question(s). Displayed from 1 to 5 question(s). If the project was properly installed, it should last for decades. Being that there seems to be water seepage, it sounds like the paver base has eroded which is causing the settling. We recommend you enlist 3 different professional paver installers to come and inspect it so they can give you a professional opinion on how to fix it. 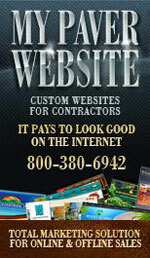 Click on "Find A Contractor" in the top right corner of our website and enter your zip code. Best of luck! How long should a new paver patio last before it starts to settle? It was installed around a pool and some of the pavers are now above/below others creating a walking hazard, especially for children in bare feet. Definitely should not lay the new pavers on top of concrete with no sand, they will crack for sure. There needs to be a solid base of aggregate sand in order to allow for settling. We recommend you enlist 3 different professional paver installers to come and inspect it so they can give you a professional opinion on how to properly install it. Click on "Find A Contractor" in the top right corner of our website and enter your zip code. Best of luck! Going to install pavers on driveway builder poured concrete base and only left down 2 3/8 the thickness of a paver. If i lay on top of concrete with no sand will pavers break when driven over or should i thinset them. we have a patio with concrete pavers. there are white stains on the pavers from duck droppings that do not come off with soap,water and a brush. is there a cleaning chemical that i can use to remove the stains, or, any other way to remove them? thanks for your help. You could just sweep new masony sand into the joints as a temporary solution, however you may be better off filling the joints with a more longer term solution using a joint sand stabilizer product. My pation pavers are a year old. The patio paver joints are showing open joint gaps. Should I add or sweep new masony sand into the joints? For a driveway that has vehicular traffic, a 4,000 PSI rating may not be strong enough to absorb the heavier traffic load, especially over the long term. You should look for a minimum of 6,000 PSI rating or higher. Is it advisable to use a square pattern grass block (4,000 rating) for a 6,000 SF driveway servicing 9 homes? I am concerned about the dimensional stability of the pavers with daily use of about 13 vehicles weighing 4,000 - 5,000 lb. & heavier vehicles who ignore the sign not to drive on.